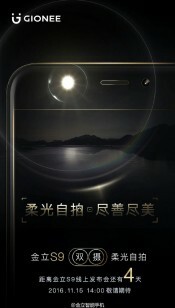 Gionee is going to announce the S9 on November 15, as revealed not long ago through a teaser image. The Chinese company has now outed another teaser for the upcoming S9, and this one tells us that the phone will come with a front-facing LED flash - to make the selfies you take in the dark that much better. 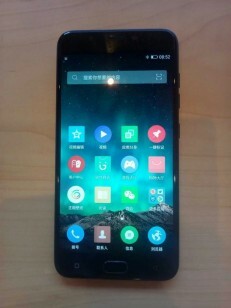 Aside from the teaser, today two live images showing the Gionee S9 have been leaked, and you can see them below. The S9 features a full metal design, with a dual rear camera setup on the back, and a physical Home button on the front which probably doubles as a fingerprint scanner. The Gionee S9 has already been certified for sale in China by TENAA, and it's also been seen in a benchmark database, so we pretty much know what to expect. 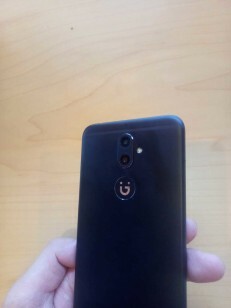 It will have a 5.5-inch 1080p touchscreen, a 13 MP selfie camera, 13 MP and 5 MP resolution for the sensors on the back, the MediaTek Helio P10 chipset at the helm, 4GB of RAM, 64GB of storage, and a 3,000 mAh battery. It runs Android 6.0 Marshmallow. Why? Just why ? This is completely unnecessary.